The European version of Aion is currently published by Gameforge but was originally an MMORPG released by NCSoft. It introduces a different approach to PvP and PvE that players tend to call PvPvE, where they must fight other players and NPCs within the Abyss and Balaurea for control over fortresses. 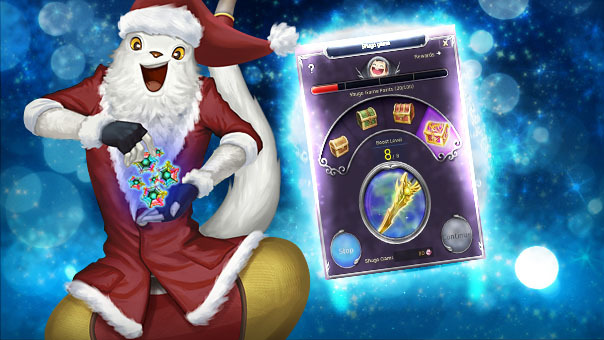 The Grand Solorius Lottery is a regular winter event in the European AION, available this year from November 30 through December 28. The event is made up from players collecting combinations of playing cards in order to win prizes such as Shugo Game Tokens and a level 12 Golden Feather. The cards will be distributed daily for characters above level 15 who stay online for over 30 minutes, with the full collection consisting of an ace, a king, a queen, a jack, a 10, and a joker from each suit of clubs, hearts, diamonds, and spades. To increase their chances of winning, players can purchase additional cards from the AION Shop. The prizes are given automatically as soon as the player completes a set. For example, acquiring the full suit of diamonds and the aces of the other suits will award two prizes, one for completing a suit and one for collecting four aces. Besides, the all-new Lucky Dice mini-game will be available from November 30 through December 21. Players will receive two dies every day to use on Lucky Dice, which may bestow great rewards should they land on the right spots on the board accessible from the game UI. Moreover, it is possible to purchase one additional die in the AION Shop for a total of 9 dies per week. Further details for both events are available on the official website.